A $3 Million Liar's Loan -- Today! 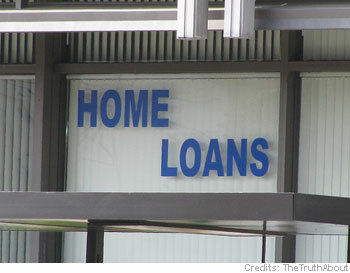 HomeBusinessA $3 Million Liar’s Loan — Today! A $3 Million Liar’s Loan — Today! You might have thought the era of big no-document liar’s loans ended two years ago, when soaring defaults on trippy mortgages nearly destroyed the financial system. And you might have assumed that no-doc loans had become all but illegal anyway, ever since the Federal Reserve essentially prohibited them in July 2008, when it adopted new restrictions under the Truth in Lending Act. But you would be wrong. On Friday, I got the following bulletin from Karen Shaw Petrou, the delightful and acerbic co-founder of Federal Financial Analytics, a Washington consulting firm that specializes in financial regulation. In addition to dissecting policy pronouncements from bank regulators and the debates on Capitol Hill, Karen reads her incoming junk mail to keep up on the real world. Additional details: no mention of minimum loan-to-value ratios; no need for the property to be a primary residence; and a promise of no need for the borrower to document his or her financial assets. Yikes! Does that sound familiar? It’s hard to understand why any bank would have the slightest desire to play with fire again, especially since foreclosures haven’t even peaked from the last blowout. Beyond that, as Karen points out, this seems to fly in the face of tough new mortgage restrictions adopted by the Federal Reserve in July 2008. Require creditors to verify income and assets they rely upon to determine repayment ability. So how was this sales pitch possible? Karen theorizes that it was aimed at investment properties, which were not covered by the same mortgage protections. The only other thing I could see is that the rules apply to “high-priced” mortgages — a regulatory euphemism for risky loans to subprime borrowers. In theory, the restrictions might not apply to a prime borrower with a pristine credit rating. But the Fed also broadened its definition of “high-priced” mortgages to include any first mortgage with a rate 1.5 percentage points higher than the average loan rate for prime borrowers. If lenders are charging less than 1.5 percentage points for the privilege of lying — at a time when real estate values are still woefully depressed and uncertain — it’s hard to know whether to laugh or cry. Sadly, I would bet that the bank in question — Karen preferred not to identify it — probably found a way to stay within the letter of the law. And that leads to the point of all this: financial regulators need to not only pass tough rules but know how to enforce them. That’s a fulltime job, which is why it makes sense to give the job to a dedicated consumer protection agency.